Freelander | '02 - '05. 10x Fixing studs for securing the trim in the side doors of the following vehicles Discovery I | '94 - '99. Discovery Series II | '99 - '04. Range Rover 4.0 (P38) | '95 - '02. 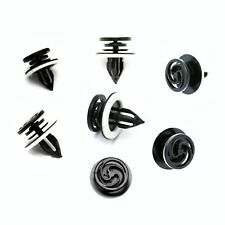 Width : 16mm Top, 17.5mm Centre. For : Ford Focus & C-Max. If there are any problems, then we will try to resolve them for you. No fitting instructions are provided with the product. VW T2 TRANSPORTER, CAMPER OR VAN. VW T1 BEETLE. No fitting instructions are provided with the product. We have many years experience in the automotive components and fasteners industry. If there are any problems, then we will try to resolve them for you. 30 x Fascia Retainer. 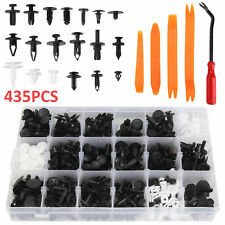 415pcs buckle 1 Red wrench Orange 4 piece suit 5 Rolling strip 20 sponge pad. 20x Trim Panel Retainer. 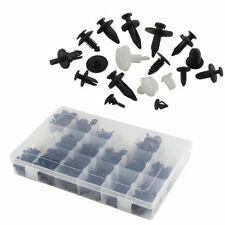 30 x Square Screw Nut. 15x Trim Panel Retainer. 10 x Trim Panel Retainer. Condition: 100% Brand New! To fit: Many Ford Ka, Focus (older models , Fiesta & Galaxy models but NOT ALL - There is more than one type of clip used on the door cards and trims so please check your existing or an old clip to make sure it is the correct type you need. Top Head Diameter : 13mm Diameter : 17.5mm Fitment:FORD FIESTA FOCUS GALAXY KA Colour:Yellow Note: Different models and years of car have different clips used on them. Please check the measurements and part number to make sure it will be suitable for your vehicle before ordering! Not original, only aftermarket Part Number: 7M0867299K Type Clips Intended Use Replacement Part Brand Unbranded MPN Does not apply Manufacturer Part Number Does not apply. Jewellery & Watches. 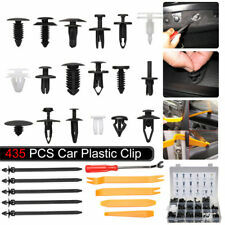 Most cars will have more than one type of clip. We try to make sure our photos are as clear as possible so you can identify the correct parts. Material: Plastic. Color: Black. Part number: 7L6868243. Part Number: 51418224768. On the E82 1-Series they are used on the roof lining. The sealing washers ensure a good fit and reduce rattles. Material: Plastic. White Plastic. Total Length:20mm. If there are any problems, then we will try to resolve them for you. We have many years experience in the automotive components and fasteners industry. No fitting instructions are provided with the product. These secure the interior door panel to the door.there are 9 required per door. Kit Number: DA2124. FREE CARRIAGE APPLIES TO MAINLAND UK ONLY. Pictures are for reference only and specifications may alter without notice. Suitable for all Series 3 models without rear wash/wiper. Quantity: 26pcs. 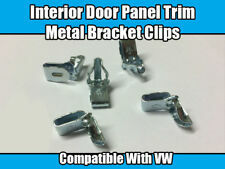 This kit is a complete trim clip set for one defender door card. Material: Plastic. Size: Like the picture show. We will try our best to reduce the risk of the custom duties. Detail Image. 100% Brand new and high quality! Interior Door Card Mounting Clip For Vauxhall / Opel Pack of 30 Clips Specification: Part Number: 2345959 / 90457899 Fitment: Fit for most Vauxhall / Opel Fits Hole Size: 8mm Top head Size:17mm Stem length: 18mm Note: Different models and years of car have different clips used on them. Please check the measurements and part number to make sure it will be suitable for your vehicle before ordering! Other Part Number 90457899 Type Door Fixing Part Manufacturer Number 2345959 Placement on Car Front Brand Generic MPN Does not apply Manufacturer Part Number Does not apply. 1 x DOOR CARD STORAGE NET. We are happy to help. In the unlikely event that you receive a part that is not working the warranty covers the defective part(s) only and does not cover any labour costs you may have for fitting or removing of parts. 30x Fascia Retainer. Retainer Sizes: 19 most Popular Sizes. 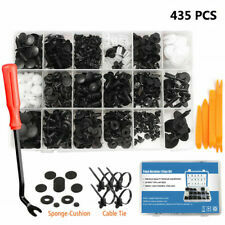 55x Weatherstrip Retainer. 40x Weatherstrip Retainer. 35x Fender& Bumper Shield Retainer. 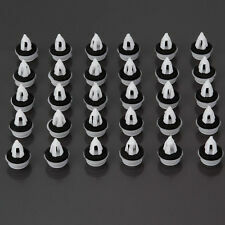 20x Fender& Bumper Shield Retainer. 15x Fender& Bumper Shield Retainer. Condition: 100% Brand New! To fit: Many Ford Ka, Focus (older models , Fiesta & Galaxy models but NOT ALL - There is more than one type of clip used on the door cards and trims so please check your existing or an old clip to make sure it is the correct type you need. Top Head Diameter : 13mm Diameter : 17.5mm Fitment:FORD FIESTA FOCUS GALAXY KA Colour:Yellow Note: Different models and years of car have different clips used on them. Please check the measurements and part number to make sure it will be suitable for your vehicle before ordering! Not original, only aftermarket Part Number: 7M0867299K Type Clips Intended Use Replacement Part Brand Unbranded MPN Does not apply Manufacturer Part Number Does not apply EAN Does Not Apply. Condition: 100% Brand New! fitment:Clio mk2 mk3 - Scenic Scenic mk2 - Megane & Megane mk2. 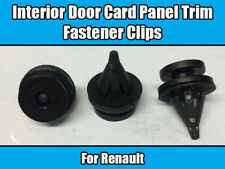 RENAULT WHEEL ARCH LINING SPLASH GUARD TRIM SPRUCE CLIPS Clio Scenic Megane 10mm hole Head Diameter: 35mm Note: Different models and years of car have different clips used on them. Please check the measurements and part number to make sure it will be suitable for your vehicle before ordering! Not original, only aftermarket Type Clips Intended Use Replacement Part Brand Unbranded MPN Does not apply Manufacturer Part Number Does not apply. 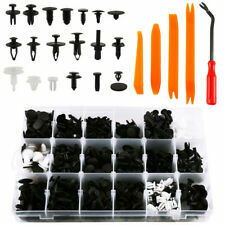 White Plastic w/ Black Foam Sealing Washers. No fitting instructions are provided with the product. If there are any problems, then we will try to resolve them for you. We have many years experience in the automotive components and fasteners industry. Fastener remover details The Compatibility Is Just For Reference. 25 Pcs OEM Number: 91503-sz3-003 For Honda & Acura. 50 Pcs OEM Number: 21030249, N807389S, 6503598 For GM, For Ford & For Chrysler.